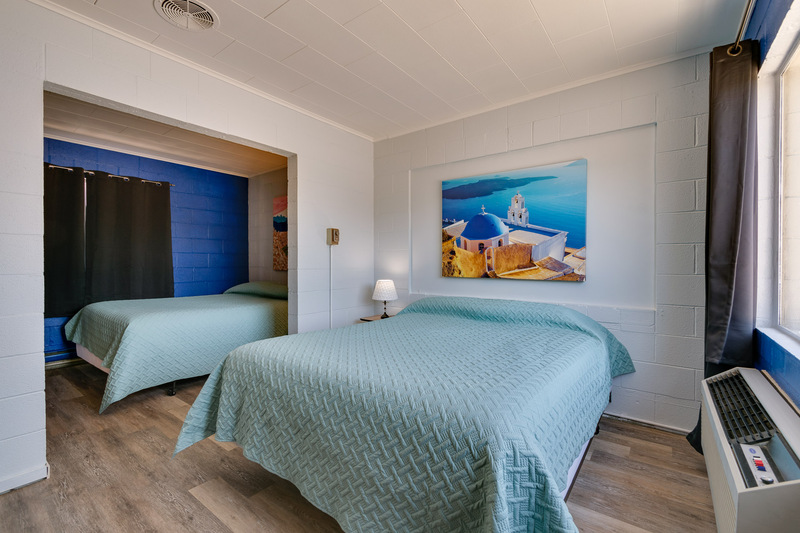 This room has two brand new queen beds, brand new gorgeous flooring, a large flat-screen tele-vision, mini-fridge and microwave. 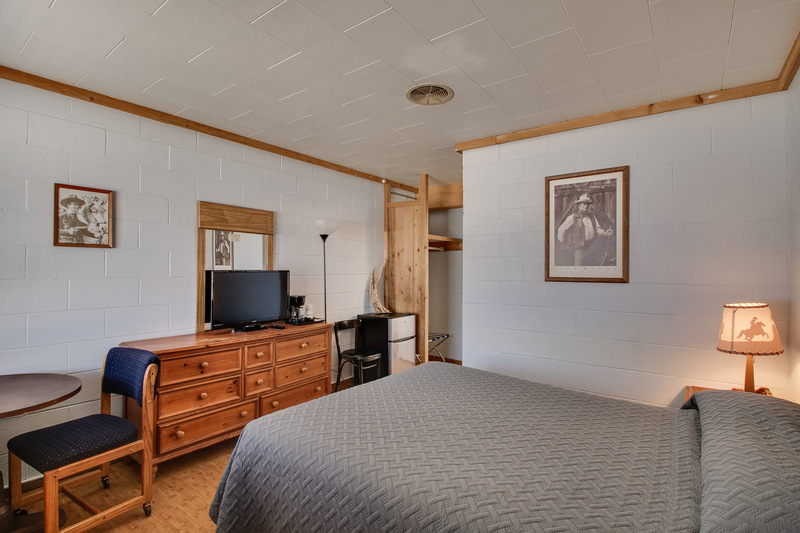 Our largest single room features a comfy king bed, a vintage kitchenette with mini-fridge and microwave, and a wall-mounted flat-screen tv. 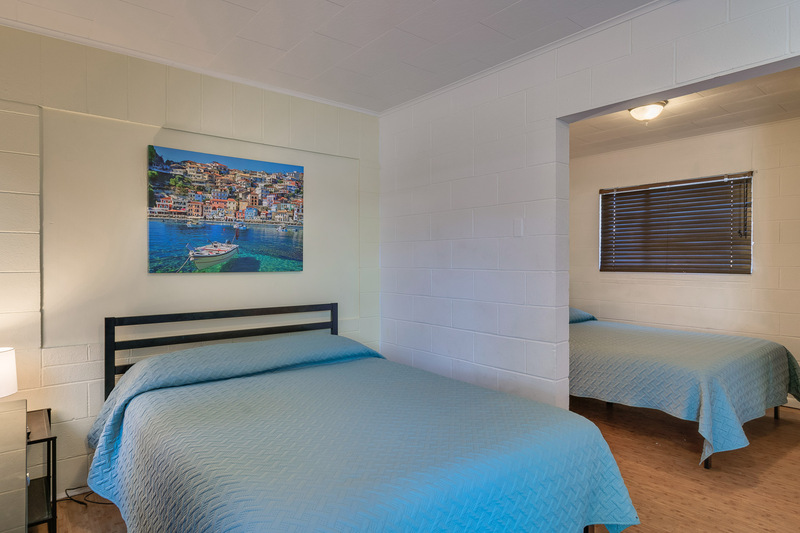 Single Queen room features a new bed, a mini-fridge and microwave, and a flat-screen tv. 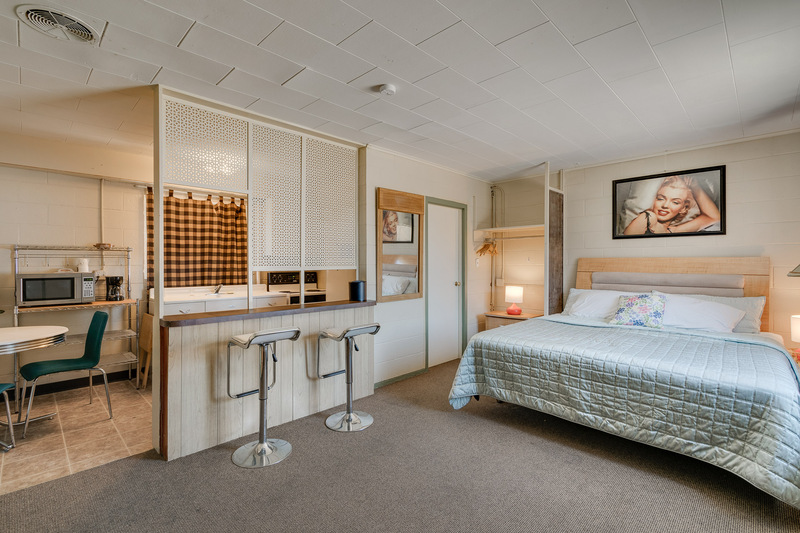 Double Queen rooms feature a comfy beds, kitchenettes with a mini-fridge and microwave, and a wall-mounted flat-screen tv.